The Suffolk County SPCA is offering a $2000 reward for information leading to the arrest and conviction of the person responsible for abandoning a female pit bull behind Wal-Mart in Commack. 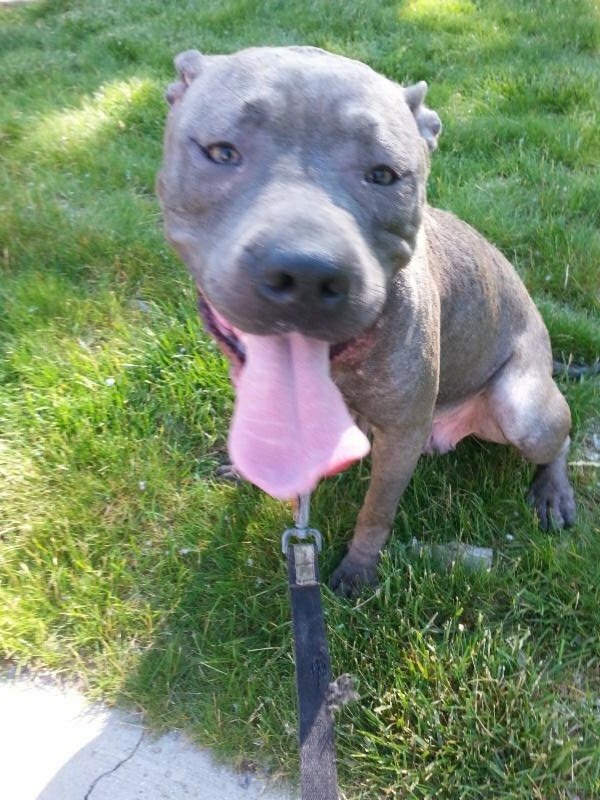 Commack, NY - June 4th, 2014 - The Suffolk County SPCA is offering a two thousand dollar reward for information leading to the arrest and conviction of the person responsible for abandoning a female pit bull behind w Wal-Mart in Commack. On Monday June 2nd, a call came into the SCSPCA Office that there was an abandoned dog tied to a Wal-Mart shopping cart behind the Commack store. The dog was taken to a local veterinary clinic where upon examination it was found to be approximately 1 ½ -2 years of age and has a skin disease, possibly due to malnutrition. The female dog was lactating and SCSPCA investigators are concerned about the whereabouts of the puppies who are in need of their mother. Chief Roy Gross of the Suffolk County SPCA said that the incident was recorded on video tape from a nearby store and a "person of interest" is being sought after. Gross asked anyone with information on the incident or who recognizes the male in the video to please come forward. The Suffolk County SPCA is taking names for adoption of this dog, who displayed a friendly, sweet disposition.